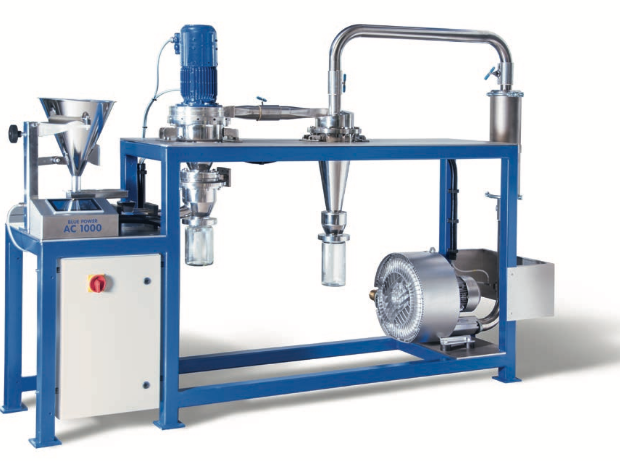 The Blue Power Air Classifer AC1000 allows the economical and flexible classifcation of metal powders (<200 μm particle diameter). It is suitable for the separation into fine and coarse powder fractions especially also in the range < 25 μm, where conventional sieving operations fail. The throughput is about 25 kg/h (bronze). 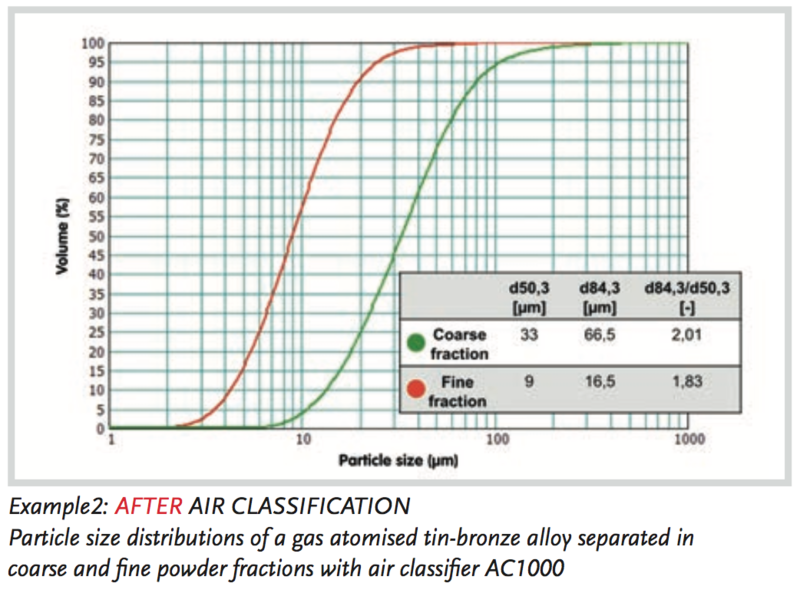 Low cleaning efforts with little metal loss and cross contamination, as well as high process stability qualify this plant for research, development and small scale production with the need for frequent alloy changes, especially also for precious and other specialty metals*. 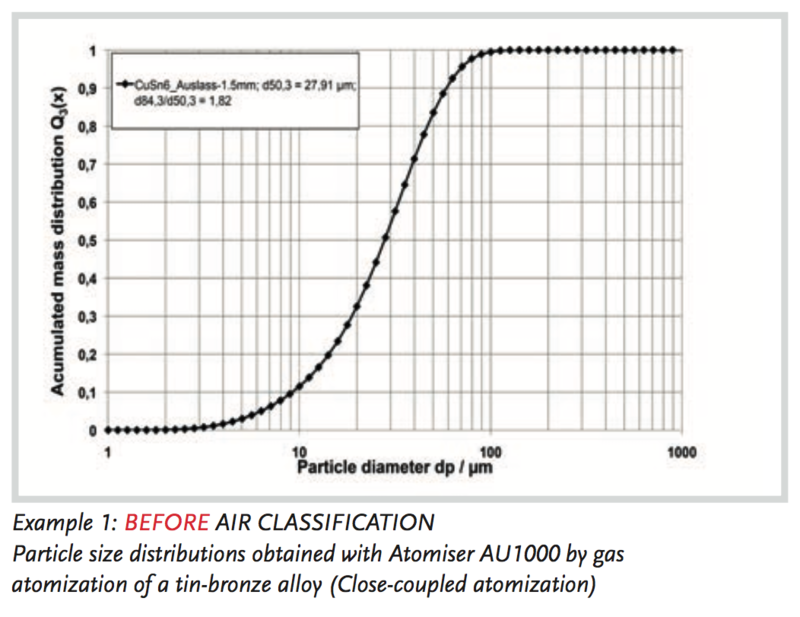 * Without additional safety measures not suitable for air classifcation of explosive metal or alloy powders, e.g. Aluminium-, Magnesium-, Zirconium- or Titanium alloys, or other alloys with increased content of these elements.